Welcome to the Biographies WikiProject. We are a group dedicated to improving BattleTechWiki's biographical articles, both on fictional characters and the real people behind BattleTech. Feel free to join in by adding your name to the group, grabbing an article to complete or weighing in on the discussion. Initially, the project will focus on the characters introduced in the FASA, FanPro & CGL products, and the supporting novels. 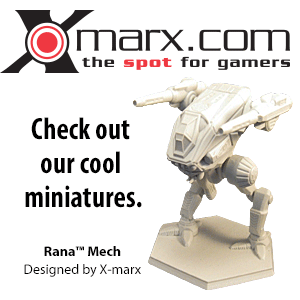 The people who helped design, write and draw BattleTech will be covered, as well. Project Biographies is now open, but a bit sparse. If you're a newcomer to BTW and see that this project hasn't moved much, please feel free to take the helm. There are very few contributors to BTW just yet, and we're busy building the infrastructure (such as this project and others like it). The philosophy of Project Biographies is that this wiki will be enriched by having a rich tapestry of articles that link products to 'Mechs to weapon systems to planets. One thing that all of these various categories share is that someone either invented them, wrote about them or drew them [real people] or they were designed by, built by, utilized by or captured by a character in the BattleTech universe. By creating well-crafted articles detailing each person's place in the universe (or on it), we'll be directly responsible for deepening the scope of BattleTechWiki as a whole. Oh, and by the way...the project will never be completed, only further enhanced. Class B: these contributors may not have stood out in their contributions, but the did have some role with official BattleTech, usually beyond that of a playtester or dedication recipient. Their articles may have nothing on the person themselves, but each should list all projects with which that person is associated and the role they played. (Ex. Allen Nunis, Take Kasakura). Place the Project Biographies messagebox (see Tags below) on each biography discussion page. Scaletail: expanding the stubs that were imported from Wikipedia, adding sourcebook authors. BDeVoe: fleshing out many of the Third and Fourth Succession War personalities. Wrangler: Enhancing existing characters, all obscure characters, freshing out Dark Age characters. Doneve: Copyedits and added to all Bios the project template. Rebs: Early Clan, Golden Century and later Clan characters with related support material as needed. Dmon: little bits of info, mostly about family histories etc, favouring Draconis Combine folks. DerangedShadow: Add as many people as I can. People push events, events shape the universe. Nuclear-Fridge: Concentrating on early Clan Invasion era and BattleTechnology characters. ClanJF74017: Focusing on missing characters, working on Clan Characters, mercenary characters. I am here to help. Dark Jaguar: Creating new Bios and expanding ones already created, a pet project is the Clan Smoke Jaguar Minor Characters. See Template:WikiProject Biographies for instructions on how to both flag new articles for review, and flag that you have reviewed them. See Template:WikiProject Biographies for instructions on how to both flag articles for peer review, and flag that you have reviewed them. Add an article that you would like to see graded by a Project:Biographies team member [grading system yet to be introduced]. None yet, but we definitely could use some candidates here. 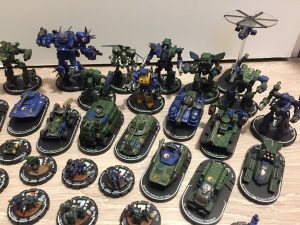 This article is within the scope of the Biographies WikiProject, a collaborative effort to improve BattleTechWiki's coverage of people of the BattleTech universe, both real and fictional. If you would like to participate, you can visit the project page, where you can join the project and see a list of open tasks. In order to make the BattleTechWiki as accessible as possible, proper categorization is paramount. Since this is Project Biographies, one of our tasks will be focusing on categorizing the bio articles of the real and fictional people of BattleTech. Currently, the only 'required' categories are Category:Characters and Category:PeopleReal. All biographical articles should be listed in either one or the other categories, so that they can be easily found. Additional character categories have been authorized (per consensus), with Category:Characters the parent. This page was last edited on 2 January 2019, at 05:27.